in aliexpress. but it has low watt output around 4 watts per channel. Hey Martin, what amp will you be replacing... and did you like it? Martin, I have an Audio by van Alstine (AVA) Ultravalve and really like it. It's a little over your budget, but makes a healthy 35 tube watts per channel and works well with the Truth. It seems like 100 watts of solid state. Also, AVA makes solid state amps that may be good choices for you as well. They have been around for decades and make good, reasonably priced, no frills equipment in the good ol' USA. Check out their web site to see if anything interests you and talk to Frank van Alstine via email or phone. He can tell you which product may work best for you. Benchmark is overpriced audio jewelry, meaning that it's for the looks and bragging rights. You won't be getting better audible sound. 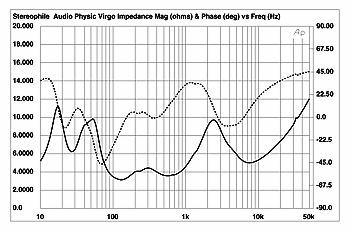 Your Audio Physic Virgo speakers are rather power (amperage) hungry speakers. Your late Gryphon Callisto has good specs in terms of low impedance output. Amp you want is something that's stable at low impedance. Commercial amps (AKA PA amp) may be what you want to look into. Some of them are passive cooling (no fan) so it can work well in home audio setting. Also, those PA amps are not as expensive as audio jewelries like Benchmark. Bhringer A500 is one example. Martin, if you want to take a chance, this guy is making finished big power class D amps using a new module from Icepower (B&O). I think it has 800 wpc into 8 ohms at 1% thd. I don't know real world wattage numbers at decent distortion levels. This is new, so there aren't any reviews, but the few guys that have heard it claim it to be dynamic, accurate and not nasty in the high frequency range. The finished amp is $900 plus $50 for shipping. He's taking orders for the fourth lot to be shipped in January. Read about it at AC forum and don't get caught up in the talk about kits; he's only making assembled amps now for only $200 over the kit price. They are easily assembled. Also, you can order better connectors and wire, but a tricked out amp would be substantially more $$$. I bought a kit (earlier in the sale) for the hell of it since it seems I can sell it if it isn't working well for me. I'm still not convinced the highs are going to suit me. It should arrive in a few weeks once the chassis is complete and in the seller's hands. i am reluctant to try another behringer product.. It was just one example of amp that's stable at low impedance. There are many others, some expensive, some cheap. Just make sure it can handle 3 Ohm impedance since your speakers have somewhat of high current demand in the upper bass to mid frequency region which our hearing is very sensitive to. This one "looks" really good and very inexpensive. Plenty of power. Damping factor and S/N ratio both look pretty good. They say it works with their passive line stage.......there you go! I have to jump in once again. The Mivera amp is a great buy. A great amp board by B&O mounted into a nice case for under $!k. It loves the Truth. This is a taste of the best for drive-thru prices. You will need to state that you want the Takachi case. It's $899 assembled. The combo will amaze. Martin. Have you decided on what amp to get?